﻿﻿That’s right,one of my all time favorite beers from one my all time favorite breweries is Beer of the Month, the one and only Tank 7 Farmhouse Ale from Boulevard Brewing, in Kansas City, MO. It’s a beer I’ve long remembered but rarely get to taste until now, as Boulevard’s distribution only recently reached the West Coast. I’m afraid I have to give credit to discovering Tank 7 to my stupid younger sister. She turned me onto this beer on a trip to the Boulevard’s Brewery a few years ago when I was visiting her in Kansas City. I’ve never had a Boulevard beer that was worse than “pretty good” if you don’t count their weird and wacky Lunar Ale. They’ve won a bunch of Great American Beer Festival medals, and display a tremendous range as brewery, skillfully brewing lawn mower beers like their popular Unfiltered Wheat, while pushing plenty of brewing boundaries with their limited release Smokestack Series, which includes Tank 7. 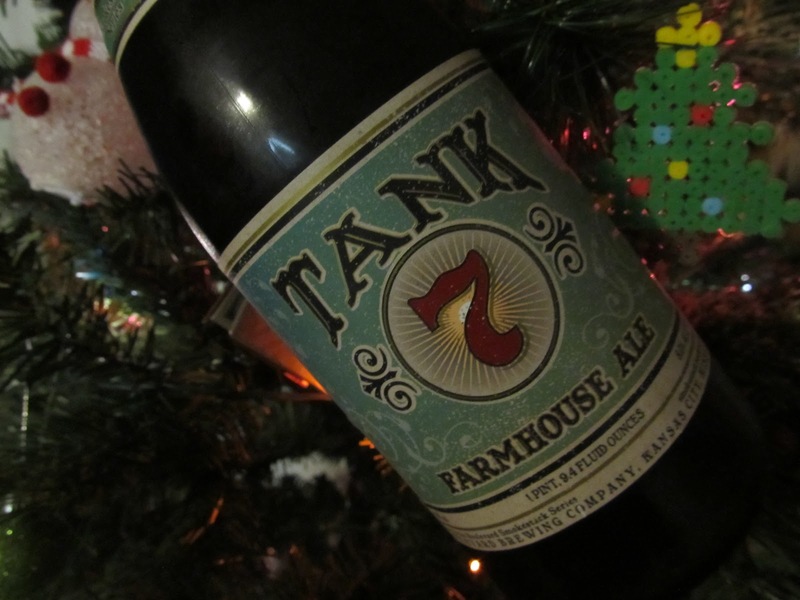 As for why I love Tank 7, it is that rare beer than excels for as much as what you don’t taste, as what you do. I love the restraint, the softness, the subdued complexity, yet the yeasty, lemon and spicey flavors still seem to pop. Lots of good Saisons seem heavy and harsh in comparison. And maybe because I’m one of the many transplanted Midwesterners in Northern California, I like to see a Midwestern brewery do good. I urge my local Northern California friends not to drink local and try this great Saisson from one of the great Midwestern breweries way too under appreciated here on the West Coast. A great brew from my neck of the woods! We had some friends bring this by one evening, and it surprised us in the best way possible.